Harvest Moon has been around for two decades. The first game came out on the SNES in 1996 in Japan, followed by the North American release in 1997, revolutionizing and becoming the most familiar and notable series in the farm simulation genre. 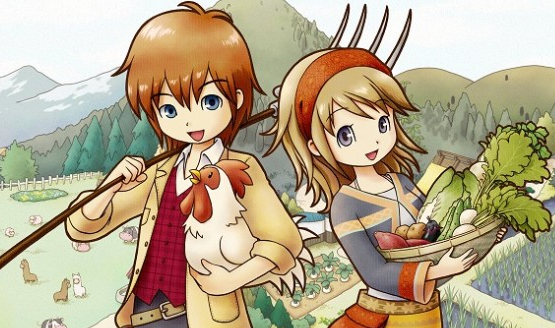 The latest Harvest Moon wants to celebrate that longstanding legacy by returning to its roots and giving fans and newcomers alike a taste of the classic. Ditching the fully 3D games that have been common lately, Harvest Moon: Light of Hope returns to the top-down isometric view and simple graphical styling of days gone by. The core of the series is all about cultivating your farm, relationships, and taking care of various objectives as time moves forward. This newest game brings the overall goal of restoring a lighthouse and the surrounding towns but being a Harvest Moon game, of course, you can expect Light of Hope brings back the staples that Harvest Moon fans know and love as the series returns to consoles for the first time in a long time. I had a chance to go hands-on with it, but honestly, it’s hard to demo a game like Harvest Moon is the space of about 20 minutes. Exiting my house, I cultivated some earth, planted some seeds, and watered the ground. Waiting for them to grow, I headed to the barn, petted a few animals and sheered a hairy goat. I barely even had the chance to talk to other humans in the game before I was being shuffled out of the booth. The farming mechanics are all context sensitive, meaning that a single button can do multiple things. In some ways, this does make the farming easier to do, but I can also see issues with not targeting the right space and mistakenly dropping seeds or using tools you don’t mean to. Harvest Moon: Light of Hope is scheduled for a 2018 release on PS4, Switch, and PC. Check out all of our E3 2017 coverage.